In a world where more and more drivers are moving to electric vehicles, where is EV charging today? 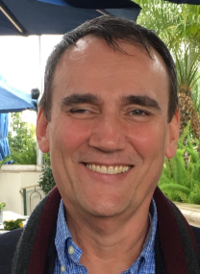 To better understand exactly where EV technology is today, we caught up with Caradoc Ehrenhalt, the CEO and founder of a Los Angeles startup, EV Safe Charge (www.evsafecharge.com), to chat a bit about his view of where EV charging technology today. EV Safe Charge rents out EV chargers for events, in addition to having its own business installing charging stations. What is EV Safe Charge? Caradoc Ehrenhalt: EV Safe Charge started when I got an electric vehicle, for the environment. 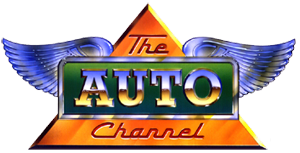 The dealer didn’t have much information or knowledge on how to get a charger installed, or where to go and find an electrician, and I figured that others also were experiencing this as well. It turned out, that was definitely the case, and that’s how the company was created. We started doing residential installations, and then commercial installations. We haven’t done any paid marketing or advertising, but more and more companies are finding us, and our business has started developing. It’s been an exciting two years. We were fortunate to be approached to provide mobile EV charging for Jaguar, and have developed that solution, and it’s now a big part of our business. With that project, we provide level 2 and DC fast chargers, providing everything needed for successful EV charging at events, anywhere in this country or Canada. After doing the work for an internal event for them, that led to external, customer-facing launch events around the country. Since then, we have had our chargers on movie studio sets for actors and crew to use for major Hollywood movies, and have also supplied charging equipment for motorcycle companies. One of the things we’ve also done recently, is launch a consulting division, to help companies navigate any of the complex issues to get a charger installed, such as dealing with ADA Compliance. Finally, something I had always wanted as an EV driver, was a really amazing app to help with everything an EV driver would want on the road, and we just announced a partnership at CES with Sumitomo Electric for an app, EV Safe Charge, Powered by Sumitomo Electric. Sumitomo Electric Industries and EV Safe Charge will collaborate on a new mobile app to enable electric vehicle (EV) drivers to experience the optimal road trip. During any journey, the EV Safe Charge app, powered by Sumitomo Electric will provide users with features such as benefits from hotel and restaurant partners and specialised travel coordination. The app has been unveiled at CES 2019. 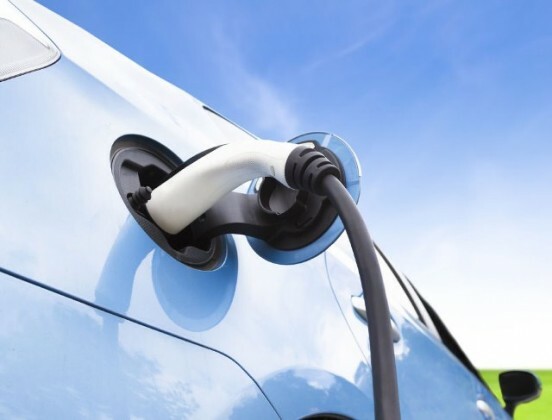 The pertinent features being developed for EV drivers will go beyond mapping chargers and provide data about when to charge based on altitude, weather, and other factors to alleviate ‘range anxiety’ – the fear among consumers that an EV has insufficient range to reach its destination, which is cited as an obstacle to widespread adoption of all-electric vehicles. 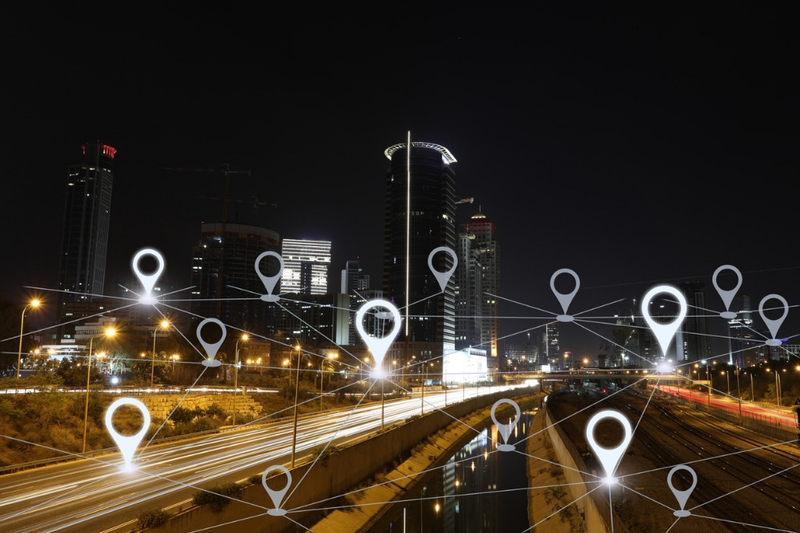 Key to the collaboration, the companies are beginning to work with automotive OEMs to integrate these app features directly into EV models as well. We have more news on EV Safe Charge’s portable fast charger. Jaguar just announced it chose the Californian startup as its official partner for the North America national launch of its I-PACE. EV Safe Charge just announced it was chosen for the Jaguar Electrifies Experience, a multi-city national tour promoting the electric I-PACE. Jaguar North America will use EV Safe Charge’s portable electric vehicle (EV) fast charger, the EV Charge Mobile, as one of its suppliers. Remember that EV charging solution group EV Safe Charge we wrote about and met at the last LA Auto Show? I recently caught up with the founder and CEO of EV Safe Charge, Caradoc Ehrenhalt, for a CleanTechnica interview. Ehrenhalt told us about the industry’s 1st comprehensive fast portable EV charging solution earlier this year. He also announced the EV Safe Charge has been recognized as one of the top 15 “most fundable” companies from a top university. Congratulations to the 2018 Pepperdine Most Fundable Companies. We scoured thousands of early-stage startups across the nation looking for companies worthy of serious investor consideration. These 15 select companies rose to the top based on the viability of their business model, size of addressable market, management team expertise, board of advisors, and competitive advantage in their market. What differentiates our program, making it more than just a competition, is that every participating company experiences a transformative process as they gain valuable insight and identify how they can better appeal to future investors. 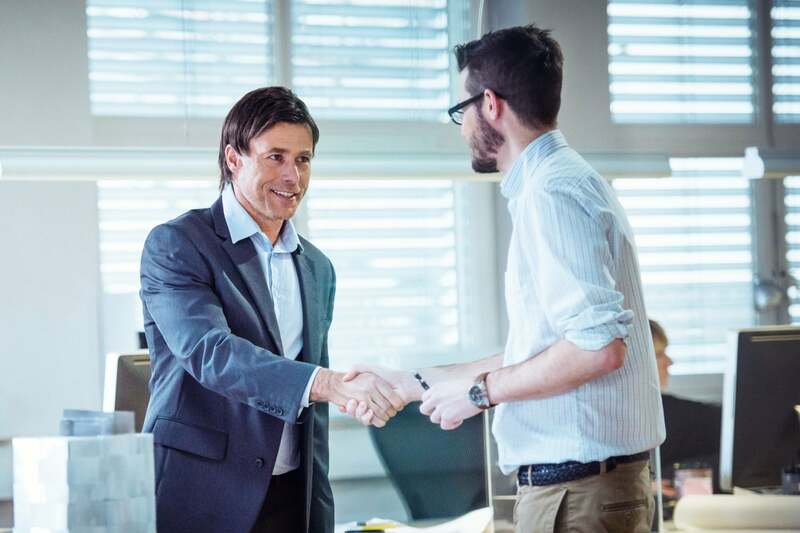 Pepperdine Graziadio is dedicated to connecting promising early-stage companies with the resources they need to successfully impact the evolving business marketplace. Through our Most Fundable Companies survey, we provide a comprehensive analysis of how a business will be viewed by top investors. Four of the top 15 companies that the Pepperdine Graziadio Business School selected as the “most fundable” companies as part of an analysis of thousands of early-stage U.S. companies are based in the Los Angeles region. And a few months into 2018 sees continuing momentum. Not a week (sometimes a day) goes by without an announcement of a new electric vehicle coming to market in the future, the expansion of fast charging networks, and advances in battery technology. 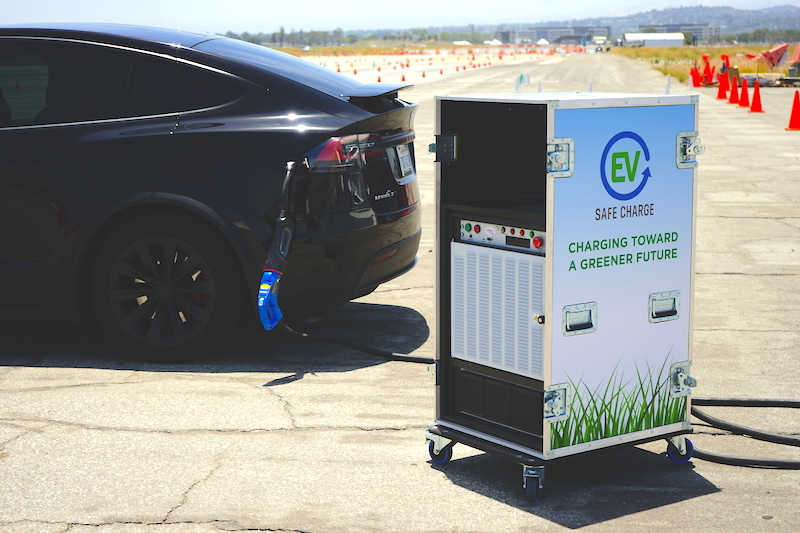 EV Safe Charge, a US-based Electric Vehicle charging installation and services company, announced today the launch of EV Charge Mobile, a new solution for portable Level 2 and DC fast EV-charging, which can bring most vehicles to 80 percent capacity within 20-30 minutes. The new Electric Vehicle Supply Equipment (EVSE) system will provide event organizers, and any site in need of temporary EV charging, a charging option for any make of electric vehicle (EV), such as Audi, BMW, Chevy, Fiat, Ford, Hyundai, Honda, Jaguar, Kia, Mercedes-Benz, Mitsubishi, Nissan, VW and Tesla, and can be additive to existing inadequate charging infrastructure or be totally self-contained. EV Charge Mobile is now available nationwide to those seeking both networked and non-networked EVSE and can be customized to satisfy specific event or other temporary needs. Businesses considering a permanent EV charger installation or waiting for infrastructure to be built can have the benefit of EV charging immediately. Depending upon on-site capabilities, chargers will be powered either through existing power at the location, solar panels, or self-contained generating systems. In the event fossil-fueled generators are required, EV Safe Charge will offset the carbon footprint by planting trees, a commitment vital to the company’s vision of a greener future. EV Safe Charge, a US-based Electric Vehicle charging installation and services company named an LA Auto Show & AutoMobility LA 2017 Top 10 Startup, announced the launch of EV Charge Mobile, the first-ever comprehensive solution for portable Level 2 and DC fast EV-charging, which can bring most vehicles to 80 percent capacity within 20-30 minutes. This highly adaptable Electric Vehicle Supply Equipment (EVSE) system will provide event organizers, and any site in need of temporary EV charging, a charging option for any make of EV, such as Audi, BMW, Chevy, Fiat, Ford, Hyundai, Honda, Jaguar, Kia, Mercedes-Benz, Mitsubishi, Nissan, VW and Tesla, and can be additive to existing inadequate charging infrastructure or be totally self-contained. EV Safe Charge, a US-based Electric Vehicle charging installation and services company named an LA Auto Show & AutoMobility LA 2017 Top 10 Startup, announced the launch of EV Charge Mobile, the first-ever comprehensive solution for portable Level 2 and DC fast EV-charging, which can bring most vehicles to 80% capacity within 20-30 minutes.